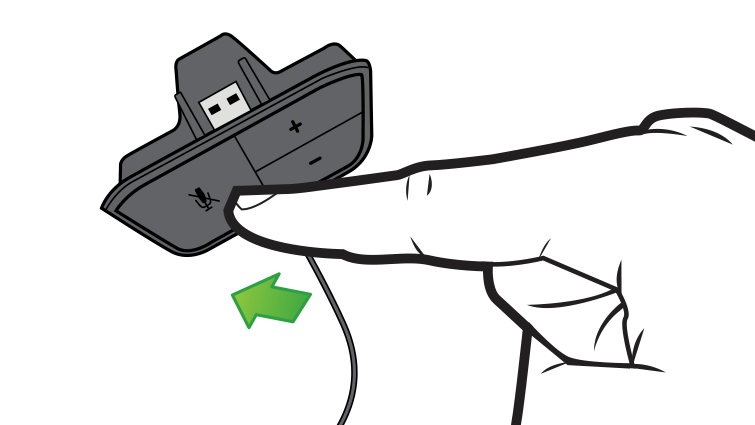 Disconnect the headset, and then reconnect it firmly to the controller's expansion port or 3.5-mm port. Increase the audio level. 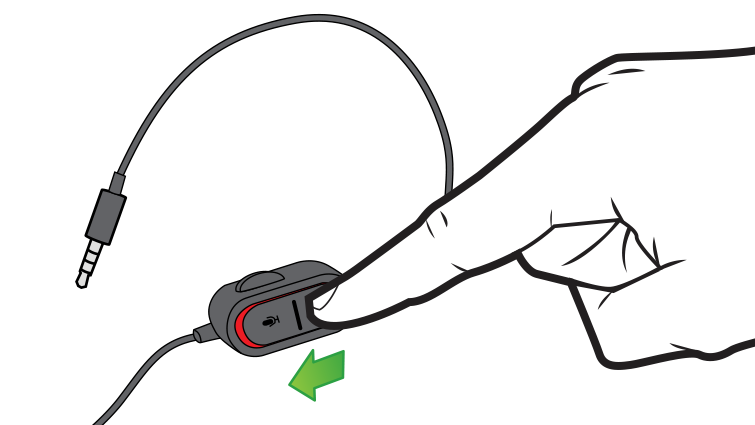 If you're using a headset plugged into the 3.5-mm port, go to Settings, select Devices, select Connected devices, select your controller and then adjust your audio options. Update your controller to make sure that you have the latest software. 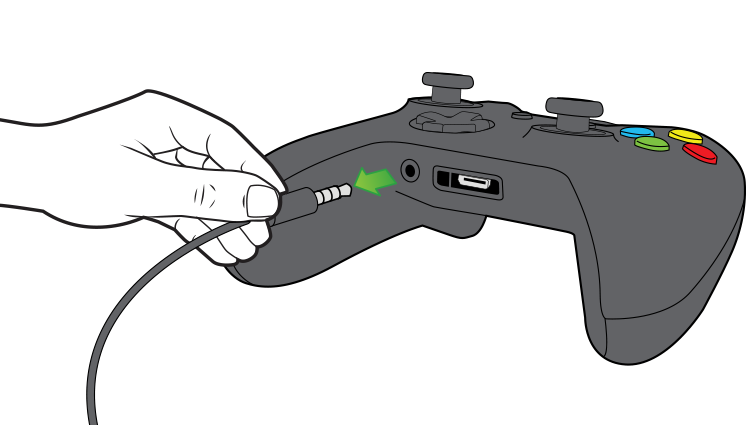 Note The Xbox One Chat Headset is designed for use with Xbox One controllers only. The headset is not intended to be used with any other device. The Xbox One console doesn't transmit game sounds or music through the Xbox One Chat Headset. If you're looking for an Xbox One headset that provides both game and chat audio, see Xbox One Stereo Headset. 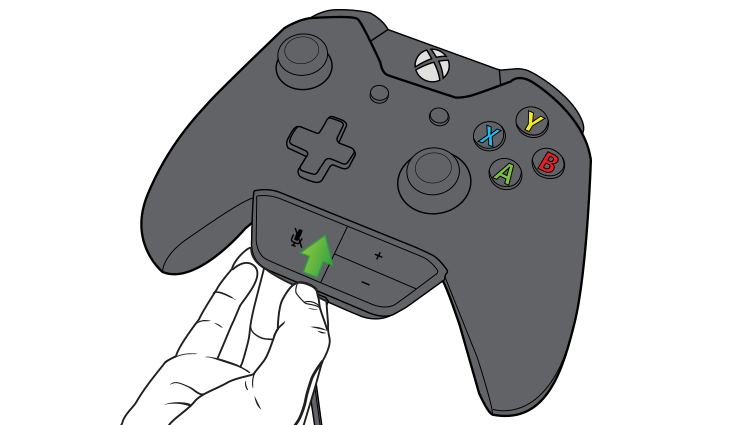 Verify that your Xbox One controller operates correctly and that you can use the controller to turn on and turn off the console. 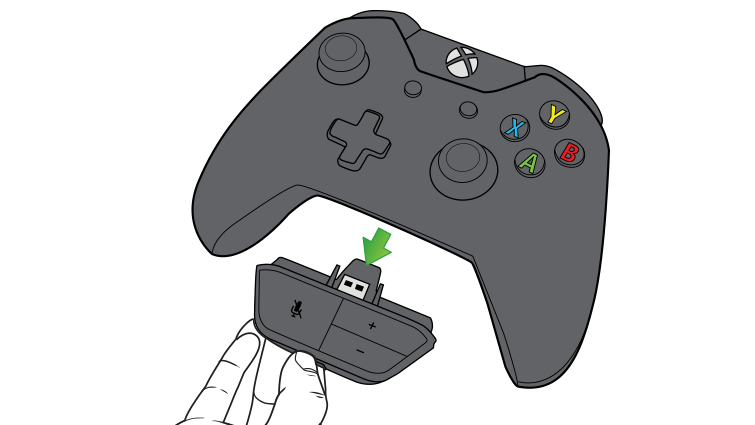 Make sure that the connector is firmly inserted into the Xbox One Chat Headset expansion port (located under the directional pad and the right stick on the controller). When you set up a profile for a child on the console, the &Privacy online safety settings let the owner of the parent profile control who can communicate via chat with the child profile on Xbox Live. In the Privacy & online safety section of your account, you can enable chat communication in the child's profile. For gamers under age 17, the default setting is "Friends Only". Turn down the volume on your device's audio output. 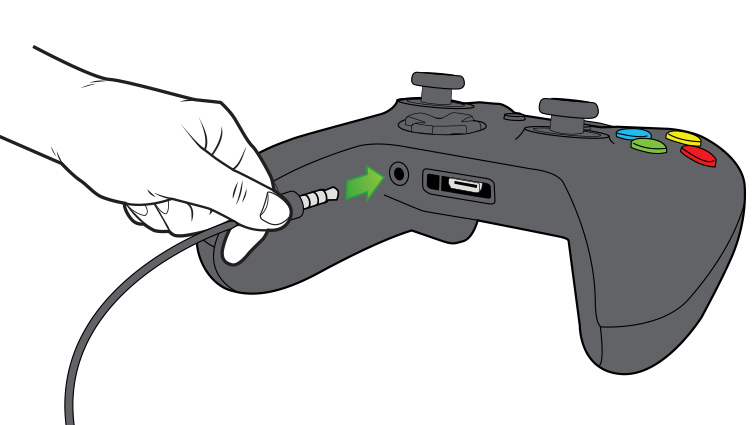 Turn on your Xbox One Controller and ensure your Xbox button is lit to indicate it’s turned on. Select Tools, and then Options. Then, select Audio settings on the General menu to test your microphone and speakers. Make sure you have your Xbox One Headset selected from the dropdown list of devices while you’re testing. 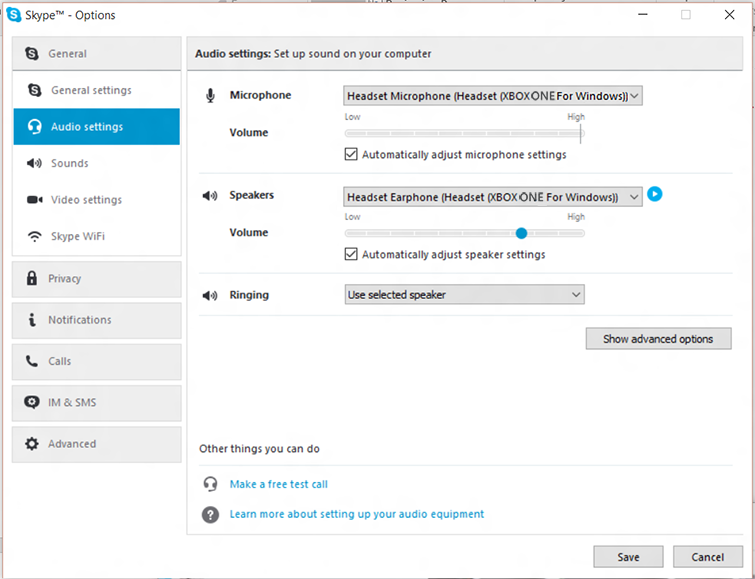 For more information on testing with Skype, see the Skype Speaker/Headphones Troubleshooter. If you've followed these troubleshooting steps but your chat headset still doesn't work, it may need to be replaced. To order a replacement, go to the Xbox Online Service Centre.